As the most grown plant in America, tomatoes clearly hold a special place in the gardening world. At Wells Medina Nursery, we work year-round to find unique and unusual tomato varieties that will thrive in our area. 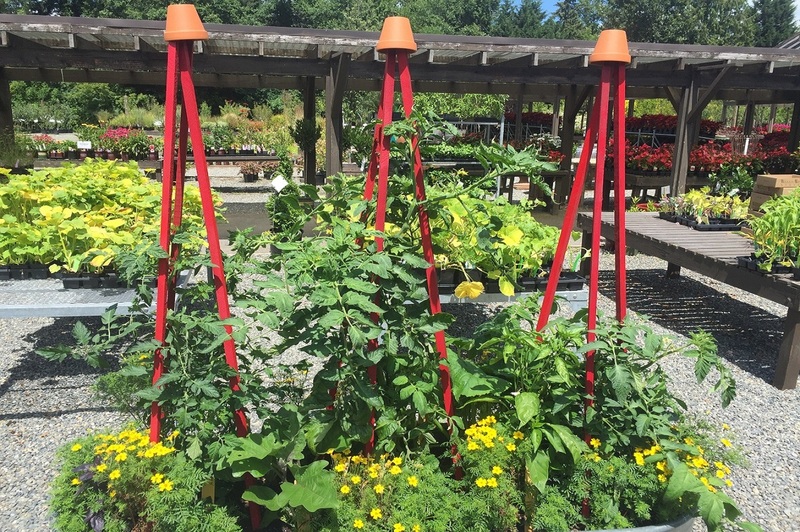 Whether it's your first or 50th season gardening, we have the plants and resources to help you grow a beautiful, tasty crop of tomatoes. This year, leave the flavorless, mass-produced tomatoes on the store shelves and GROW REAL! Chocolate Sprinkles is Lisa's baby that produces, and produces, scrumptious, crack-resistant fruit. Sungold is Wendy's sure producer of sweet, golden poppers. Maglia Rosa is Kim's new favorite cherry with its mottled pink stripes and speedy production (55 days). Stupice - no matter how you say it - is an amazing producer of intense-flavored saladette tomatoes. Tigerella (aka Mr. Stripey) is a striped and bold-tasting slicer requested by enthusiastic tomato-loving customers. Which staff favorite tomato are you most likely to try? How do tomatoes get such funny names? Read Kim's "What's in a Name" tomato blog to find out! Check out the rest of the varieties we plan on having for 2019 here. Plant tomatoes when overnight temperatures are consistently above 50 degrees. Most years, this is occurs in mid-late May. 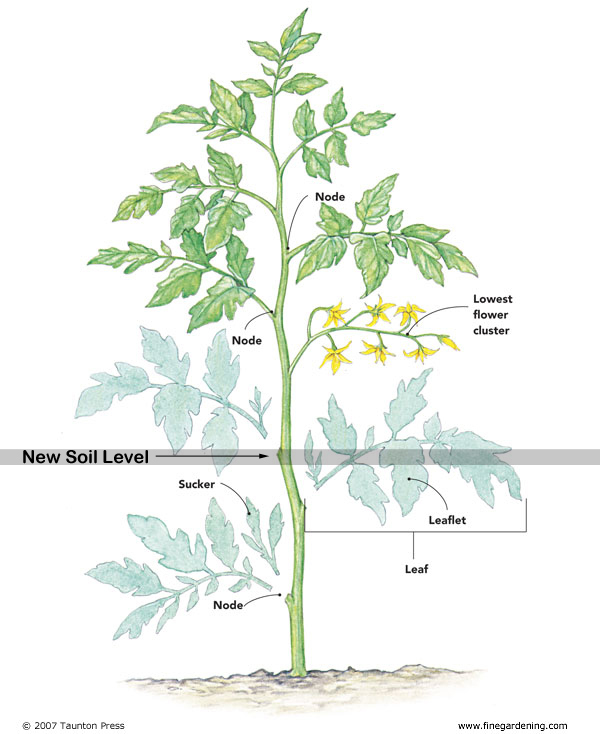 Find a spot where your tomato plants will have six or more hours of full sun each day. Before planting, prepare your garden area using compost. We suggest EB Stone Planting Compost. If you are using containers, mix 2/3 potting soil with 1/3 planting compost for the ideal blend. Use stakes and cages, especially for indeterminate types. Indeterminate plants will continue to grow throughout the season. If you select plants with varying "days to maturity," you will have a full season of tomatoes. Water plants so the roots are soaked every three to four days during the first few weeks. As plants grow, water deeply and more infrequently. In mid-August, start removing blossoms and small fruit to help existing tomatoes ripen. Few things are less satisfying than making a tasty meal or snack from ingredients grown in your own garden. Below are a few tried and true recipes recommended by our staff. We've put an * next to ingredients you can grow from plants we plan to carry for 2019. Great with corn chips or as the perfect compliment to omelets or tacos. Directions: Cut a small X on the bottom of each tomato and boil tomatoes until skin is loose. Remove skins by peeling from the X. Blend ingredients separately and then stir together. Chill in refrigerator and add cilantro just before serving. A comfort food made from garden ingredients. Directions: In a stockpot, over medium heat, combine the tomatoes, onion, cloves and chicken broth. Bring to a boil, and gently boil for about 20 minutes to blend all of the flavors. Remove from heat and run the mixture through a strainer into a large bowl or pan. Discard any leftover items. In the now empty stockpot, melt the butter over medium heat. Stir in the flour to make a roux, cooking until the roux is a medium brown. Gradually whisk in a bit of the tomato mixture, so that no lumps for, then stir in the rest. Season with sugar and salt to adjust to taste. Directions: Preheat oven to 425°. Heat 3 T. olive oil in a medium pan. Add onion & sauté for 5 minutes, stirring occasionally. Add garlic & sauté for a minute. Stir in tomatoes, 1 t. salt, ½ t. pepper & cook over medium for 10 minutes stirring as sauce thickens. Turn off heat & stir in vinegar & basil. Meanwhile, place a large pan over high heat for 5 minutes. Brush the salmon with olive oil & sprinkle with salt & pepper. Place skin side up in pan. Cook the fish for 3 to 4 minutes until browned. Turn the salmon skin side down with a spatula & transfer to pan then into the oven for 8 minutes. Serve with warmed tomatoes. Simple enough for a snack; elegant enough for an appetizer. Directions: On a platter or individual plates, alternate layers of tomato, cheese and basil leaves. (A good individual serving size is 5 tomato slices with 4 layers of cheese and basil.) Drizzle with olive oil and balsamic reduction (put 1 cup balsamic vinegar and 1/4 cup honey in a small saucepan and reduce over high heat until think and syrupy. Allow to cool.) Dot with pesto and sprinkle with salt and pepper to taste.